Public interest in “climate change” peaked in March 2007 as Al Gore and “An Inconvenient Truth” basked in the glow of an Academy Award win, but faded away ever since. The largest amount of coverage in the last two years came in June 2017 when Trump withdrew from the Paris accord and again the following month when other nations reiterated their support for it at the G-20 summit. In all, roughly 20 percent of climate-related coverage has mentioned President Trump, suggesting that perhaps one of the reasons for the relative silence in 2018 is the lack of major pronouncements from the White House. 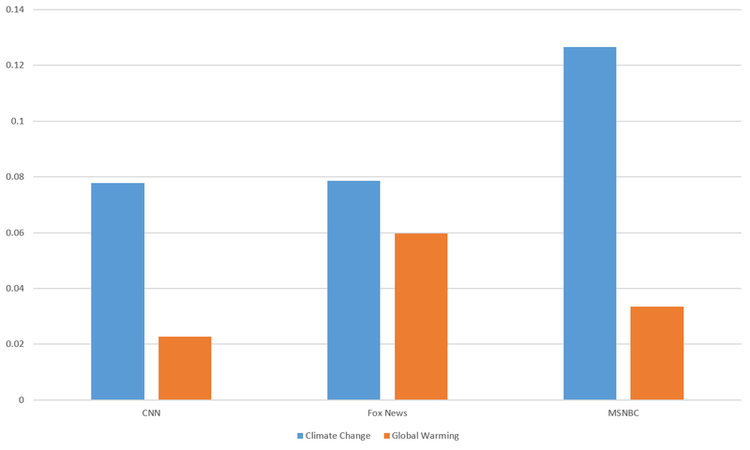 All of this prompts the question: Does the general public care about climate change anymore? The timeline below shows worldwide search volume for the Google topics “Climate Change” and “Global Warming” (which include their translations and related terms in all the countries where Google is used). Google does not report the actual number of searches, instead treating the month with the highest number of searches as 100 percent and reporting the other months as percentages of that peak. 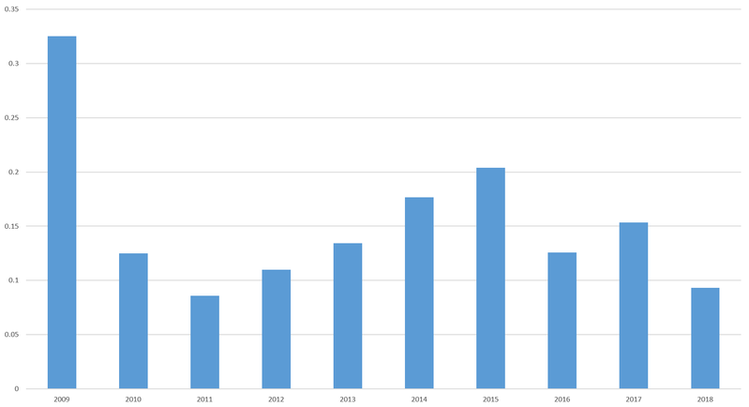 Interest in “climate change” peaked in March 2007 as Al Gore and “An Inconvenient Truth” basked in the glow of an Academy Award win, but faded away over the next half decade. 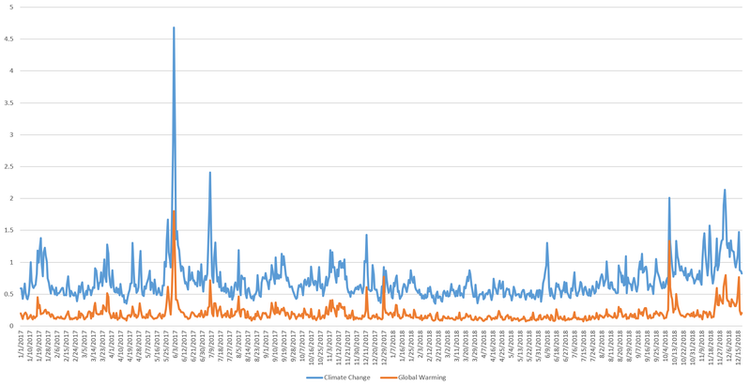 In contrast to media coverage that has long favored “climate change” over “global warming,” Google searches historically focused on the latter, though that gap has closed in the last few years. Searches for “global warming” are at their lowest since Google’s data measurement started in 2004. Searches for “climate change” began to tick up after the 2015 Paris accord, but seem to have enjoyed a slight renaissance in the era of Trump, increasing several percentage points since his election. However, other than the COP24 bump, even this term seems to be fading from interest. Putting this all together, while Trump’s anti-climate change rhetoric has offered a mild reprise of public interest and media coverage, both are in decline.